This 4-day workshop delivered by McNeel Miami will provide students and professionals with a functional understanding of Rhino and Grasshopper concepts necessary to obtain effective algorithmic and computational knowledge to model parametric 3D shapes. For this particular class, the participants will be using jewelry and industrial design models as their main 3D geometry. 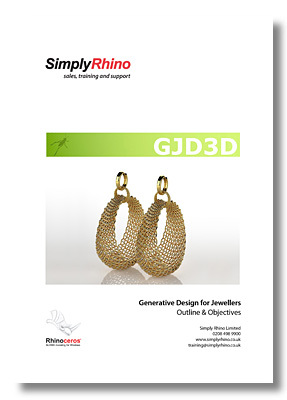 This class is suitable for all users of Rhino, RhinoGold, Rhinojewel, Matrix3D or any other Rhino based solution for jewelry design.